Mariem Claret Velazco Garcia of Venezuela is Miss International 2018, and she was crowned by the Indonesia's Kevin Liliana on Friday, November 9th. The coronation night took place at teh Tokyo Dome City Hall in Japan. Congratulations All Winners, thank you for your participation. Miss International (official name: Miss International Beauty Pageant), was born in the United States, in Long Beach, California in 1960. Since then, it has developed a wide range of exchanges, under the slogan "correct understanding of Japan in the international community" and "the realization of world peace through mutual understanding", as an international contribution business. Between 1968-1970, the beauty pageant was held in Japan commemorating the Osaka World Exposition. The 1968 pageant, which was extremely well received, was held at the Nippon Budokan and featured the Ginza parade from Hibiya Park to Nipponbashi. As a consequence, after 1972, the pageant has been held in Japan, and by organizing pre-contest events in China, a country showing a remarkable economic growth, in 2008 during the Beijing Olympics, and in 2010, during the Shanghai World Expo, at the Chengdu Hall, it has secured its place as the core of international goodwill enterprises. In 2004 and 2006 it was held in Beijing, and once again in China, this time in Chengdu, Sichuan from 2009 to 2011, as part of the reconstruction support for the areas affected by the Sichuan earthquake. After that, the contest was held in Okinawa in 2012, and in Tokyo in 2013. It has played an important role in advertising tourism in Japan, by widening the circle of goodwill activities of each country's representative. 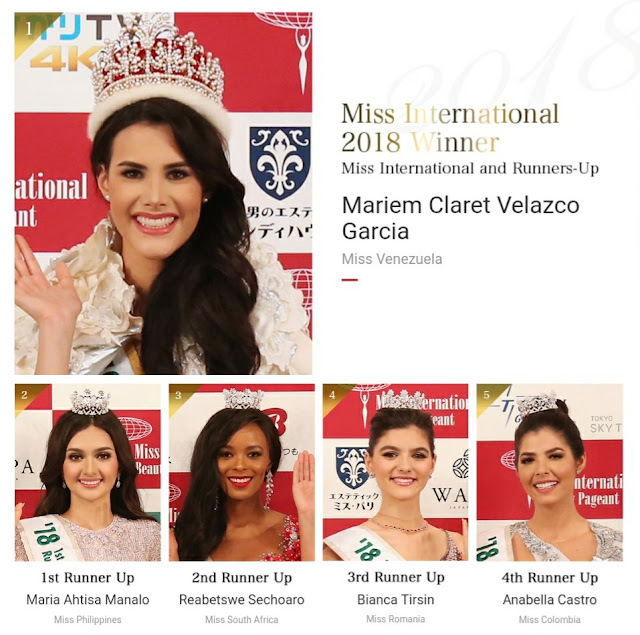 In addition, Miss International established the "Miss International Fund" which donates money to underprivileged children around the world, through Unicef and other charity institutions. Also, the Japan representatives take part every year in tree-planting activities, known under the name of "Green Campaign", aimed at protecting the natural environment. Through this kind of continuous philanthropic activities, the beauty pageant is aiming at becoming more than a beauty contest, an actual opportunity for the participants to improve their inner selves, through proactively contributing to the international community and international exchanges. This year, once again, representatives from more than 65 countries and regions gather in Tokyo to become the new "Beauty goodwill ambassadors"! Miss International Fan VOTE is Live Now, Miss International Fanpage Has OPENED! Support Your Favourite Contestants BELOW!!! "Twitter : Miss International Vote"
Copyright © 2015 POLL ONLINE | VOTING WEBSITE - MISS INTERNATIONAL VOTE. All Rights Reserved.